Esan Sullivan has turned out to be a reading machine this year. The Coahoma Elementary School (CES) fifth grader has read 1 million words within the first nine-weeks of school, according to his Accelerated Reading (AR) reports. “I haven’t had a student reach this goal this early before,” CES Librarian Kandi Burris announced Monday morning during an assembly filled with students, staff, and parents. For his efforts, Sullivan received a large, yellow duck and a lunch of his choice from Dairy Queen. Burris has been using a duck-themed reward system to motivate students to read for the past three years. 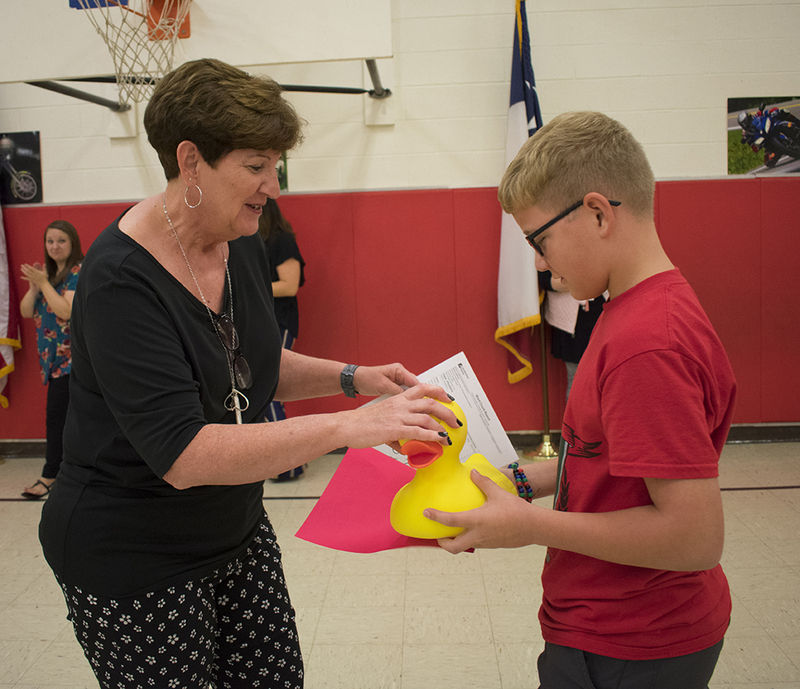 The system is catered towards each grade level and when students make the goal, they are rewarded weekly by choosing a 2-inch rubber duck to take home. The ducks vary in colors and themes. In this case, Sullivan received a large duck and meal because he reached a major goal, but the well-known waterfowl is not the only prize available. Coahoma Elementary offers a variety of rewards including winning a school hoodie. “We (CES) just want to offer anything that will get them to read,” she said. 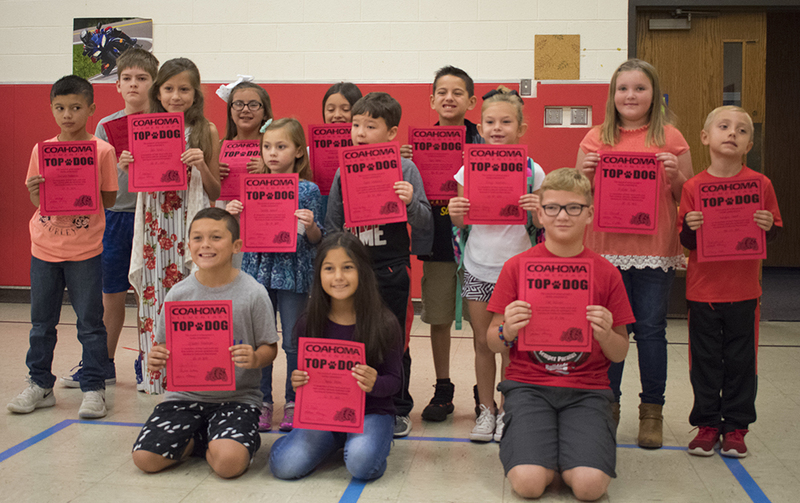 Last April, Coahoma student Eleanor Correa surpassed 2 million words read prompting both Burris and CES Principal Allison Alvarez to search for an even bigger prize. What they found was a giant, inflatable derby duck. With Sullivan off to such a strong start this year, the two educators are going to have to put their heads together to find a prize for the next big goal. Thanks to the turnout from the community at last week’s book fair, Sullivan should not run out of reading material for a while. The fair pulled in about $11,000 which can be used to purchase new books to add to elementary collection, Burris said. Sullivan wasn’t the only student recognized during Monday’s assembly. The CES Top Dogs were announced. The Top Dog award is based on grades, attendance and overall good citizenship. Recipients were: Brooklyn Cox, Bay Rechichar, Ausiana Jackson, Kenneth Cade Born, Boston Leatham, Sophia Valadez, Callie Myers, Kynzler Grant, Kinzlee Henderson, Ayden Villanueva, and Isabella Leonard. 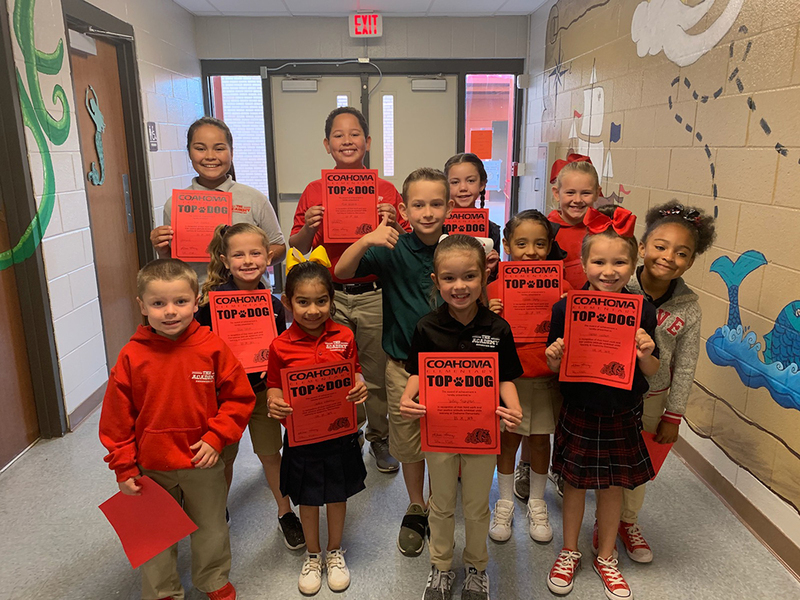 Landry Thompson, Paulina Lopez, Madison Sneed, Mikey Garcia, Wyatt Webster, Chloe Collier, Makayla Ontiveras, Zylee Lozano, Sadie Sorrels, Blakely Rogers, Callie Berry, Giancarlo Maldonado, Jett Archer, Ava Allaman, Brailee Bennet, Jayden Hernandez, Sophia Haston, Esan Sullivan, Noah Edleback, and Mia Clemmer.